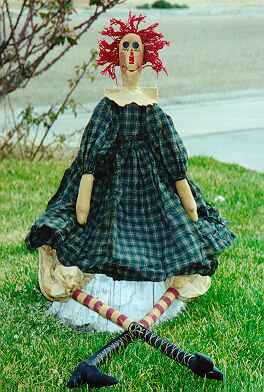 A wonderful, long legged primitive doll in a homespun dress. 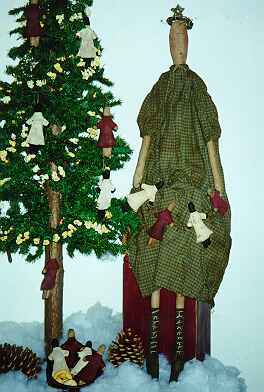 Includes a garland of small dolls. She can be displayed sitting or hanging. A traditional Annie as large as life! This four footer is totally charming with her gangly legs and arms. Here's a charming and simple Andy holding a large stuffed heart. 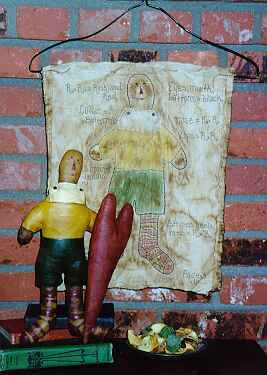 The primitive stitchery is a version of the pattern itself. 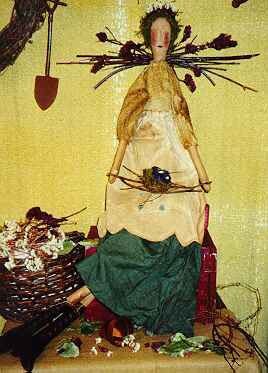 Dressed in simple skirt, stitched apron and blouse, this angel is a pure delight. She's holding a small bird nest on a tray of twigs.